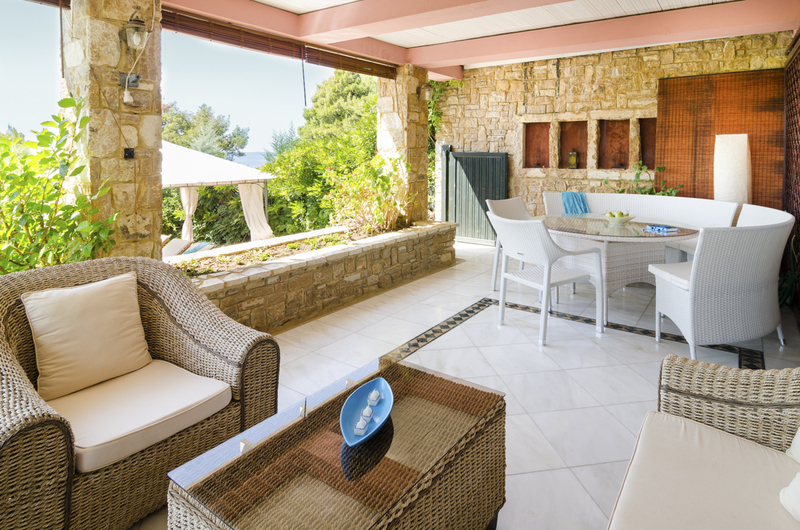 Four-bedroomed Marionberry Villa boasts stunning sea views and is set in a peaceful location in Sithonia, on the popular peninsula of Halkidiki in Greece. Golden sandy beaches are a short drive away, and so are charming Greek villages with classic whitewashed houses draped in pretty bougainvillaea flowers, as well as exciting historical sites. The area boasts beautiful walking and cycling trails that take you through pine-tree lined forests and around the craggy coastline. 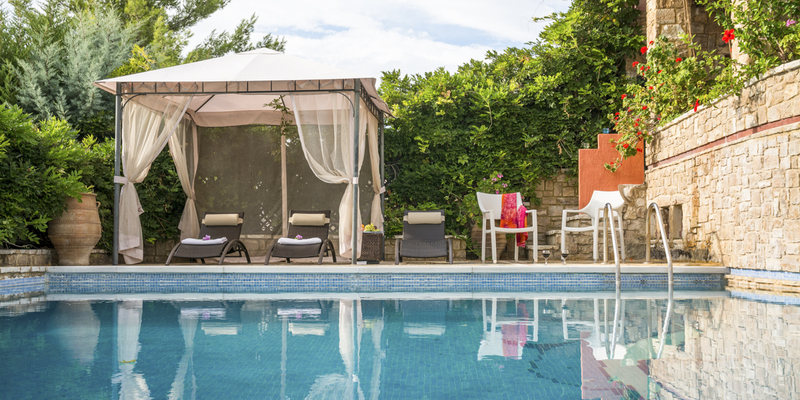 Take in the tranquil natural surrounds from your outdoor swimming pool, paved terrace and seating-equipped balcony. 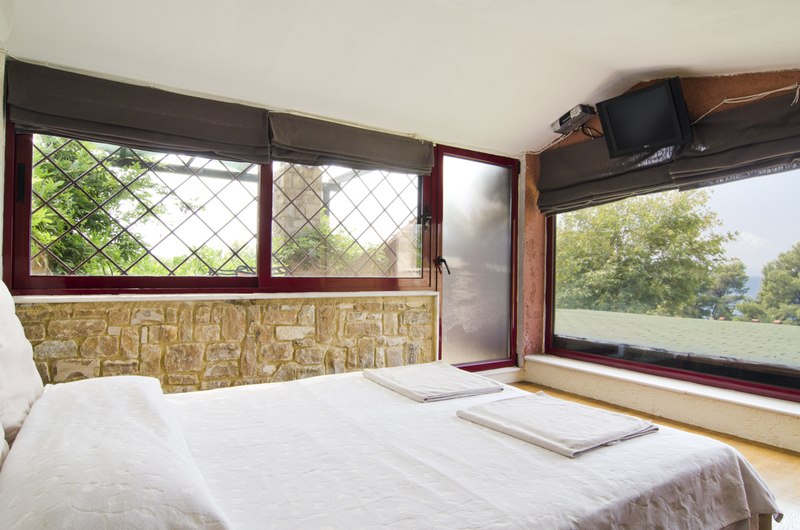 The villa is coastal facing and is surrounded by tall trees and shrubs for your utmost privacy. There are plenty of places for you put up your feet in the sun or the shade and there’s an al fresco dining table for enjoying the serene ambience over your breakfast or dinner. 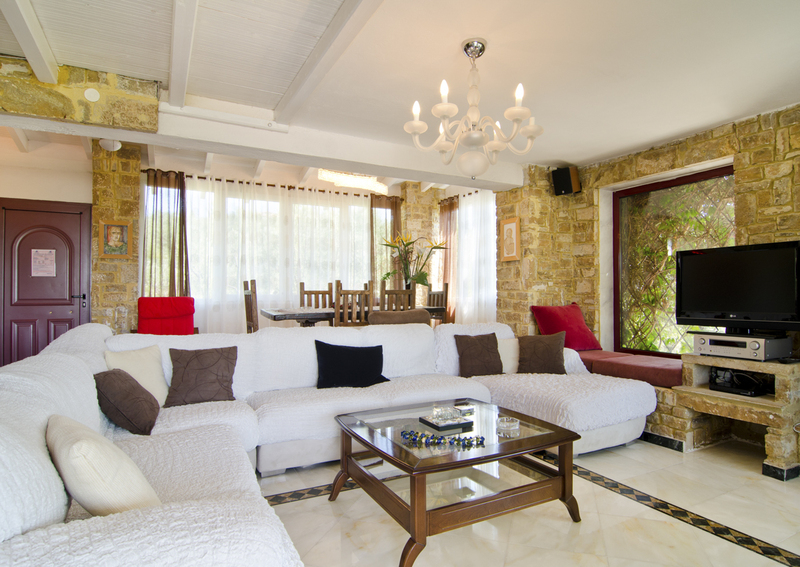 The villa has a modern open-plan living, kitchen and dining room which leads directly out onto the pool and sun terrace. There’s also grassy spots for children to play and the villa has a small slide and toys for younger kids. 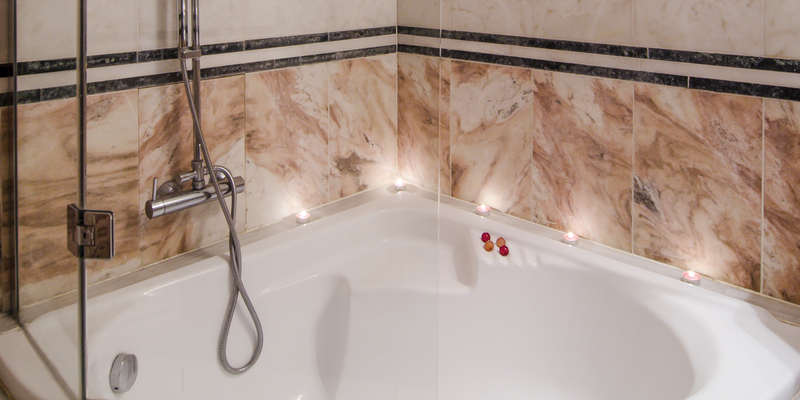 Inside, you can kick back on the sink-into sofas, and there’s also a Jacuzzi tub for a serene spa-like feel. Extra touches like candles and lanterns add romance and warmth. Marionberry sleeps six to eight across its four spacious bedrooms, one is loft room which is ideal for teenagers wanting that bit of extra privacy. The exterior is traditionally Mediterranean in style with a mixture of white-washed and exposed stone walls. With a stone-built fireplace and elegant dark wood furniture, the interior continues the classic cottage feel. 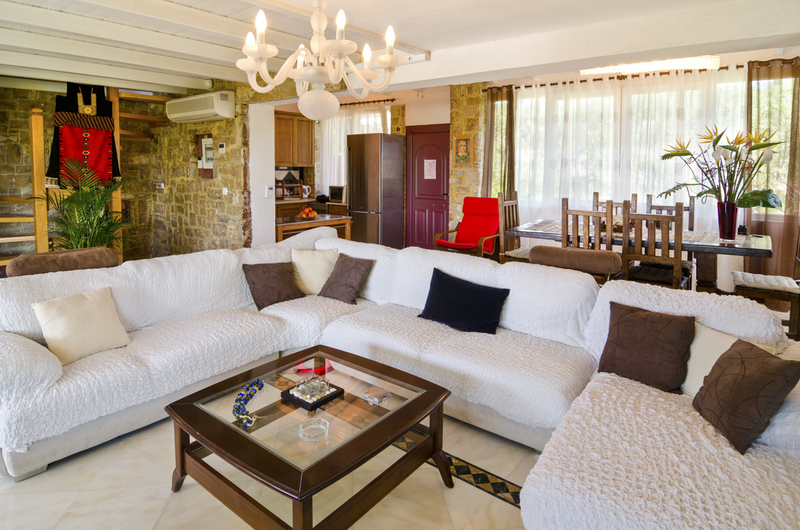 With sand and pebble Akti Elia beach within walking distance and the vibrant town of Nikiti within a short drive, the villa is an ideal base for you to discover more of this charming part of Greece. Try local cuisine at one of the tavernas or head to Stagira, the birthplace of the famous philosopher Aristotle, where kids can play with nifty interactive experiments. 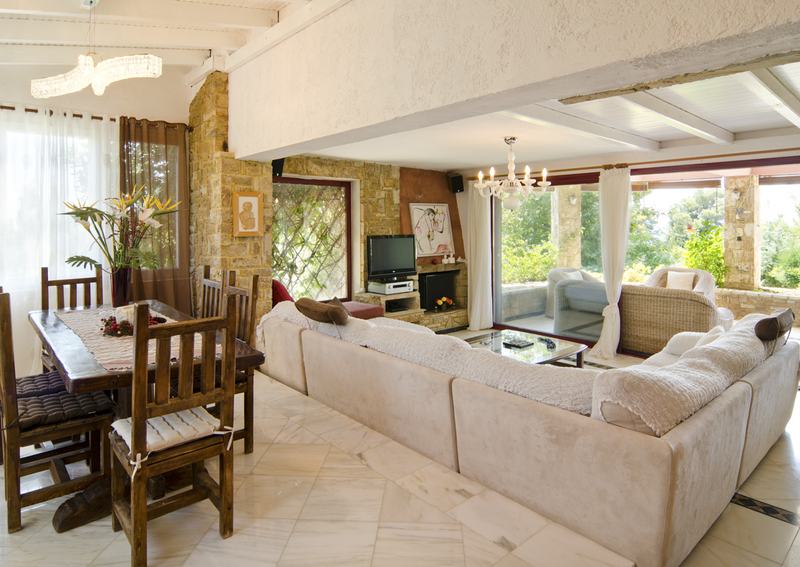 Marionberry Villa is in Sithonia along the northern region of Halkidiki in Greece. With breath-taking natural surrounds including deep pine tree-lined forests, olive groves and picturesque meadows, Sithonia is one of the most beautiful places in Greece. You can explore the small harbours and fishing hamlets along the peninsula or relax on the calm sandy beaches. With over one hundred beaches to choose from, including fifty Blue Flag Beaches, much of your time might be spent relaxing on the golden sand or cooling off in the crystal-clear Aegean. There’s also plenty of opportunities to take part in water sports like sea kayaking and scuba diving. Halkidiki is renowned for its coral reefs and blue lagoons. You could hire a small boat or join a boat trip to explore the surrounding islands and coves, stopping off for swimming and snorkelling. There’s also a myriad of walking, hiking and mountain biking routes that showcase the natural scenery. You can head to Mount Itamos, the highest peak on Sithonia for panoramic views over the peninsula and a fantastic bird’s eye view of Mount Athos to the east and Mount Olympus in the west. Trails may also take in the Xerxes Canal, surrounding peaks and the beach at Komitsa. Ouranoupolis village is a short drive from the villa and is well worth visiting for its Byzantine monuments and pretty beaches. Parthenonas, on the slopes of Mount Itamos, is also a great choice. The village is lined with traditional white-washed stone houses and has local taverns serving freshly caught seafood and there’s also a museum for learning more about the culture of the area.